This past Wednesday, North Korea once again completed a successful testing of an intercontinental ballistic missile that was launched into the sea near Japan. This missile was reportedly the “highest and longest any North Korean missile had flown,” with the potential of carrying warheads and reaching Washington and the rest of continental United States. In response, both China and the United States reiterated their condemnation of North Korea’s nuclear programme, and China expressed its concern of North Korea’s increasing international display of offensive military power and called for the nation to “refrain from further provocations” that push the Asia-Pacific into a game of nuclear brinksmanship. The United States reaffirmed its alliance with South Korea and Japan and called for a tougher stance on international sanctions toward North Korea. This reaction to North Korea almost seems routine for both China and the United States, with each North Korean provocation prompting international condemnation and a round of tense dialogue between Asian-Pacific states. Perhaps the focus on this militaristic and realist stalemate is not on North Korea, but on a tense regional climate where China is unable to take a harsh stance on North Korea while managing a Sino-American relationship plagued by mistrust. China finds itself in a balancing act – responding to international and American pressures to relinquish its ties with the rogue state, while still holding on to North Korean ties to maintain its rise as a hegemonic power in the Asia-Pacific. China has stated numerous times that dialogue is the best way to engage with North Korea. However, the United States has grown impatient with Chinese stagnation, continually urging China to demand for denuclearisation in North Korea and to abandon its oil shipment and trade ties that are linked with the North Korean nuclear weapons programme. Tension and resentment in the Sino-American relationship have existed since the end of World War II when the rise of China was evident. At an emergency United Nations Security Council meeting, the United States accused China of not strictly imposing sanctions on North Korea. A lack of Chinese enforcement in response to an international outcry for security in the Asia-Pacific has led the United States to pursue more aggressive policies, including “unilateral sanctions on Chinese individuals and businesses” that engage with North Korea. In the case of a rising Chinese economic dominance and with North Korean relations, the Sino-American relationship remains complex; Blumenthal states that “they are rivals, they are not an enemy.” China must acknowledge American concerns without diminishing its own foreign policy strategies in a balance of powers. If China wishes to rise peacefully as a great power, it must maintain cautious relations with the United States. The Chinese relationship with North Korea has inhibited the flexibility of China to respond to international concern of offensive behaviour. Chinese perception of North Korea is characterized by a dichotomy between nuclear liability and strategic buffer state. Not only has the existing Sino-North Korean economic and aid dependence turned Chinese diplomatic relations sour at the international negotiating table, but China must be wary that North Korea could become a hostile nuclear state that could turn away from its established relationship. 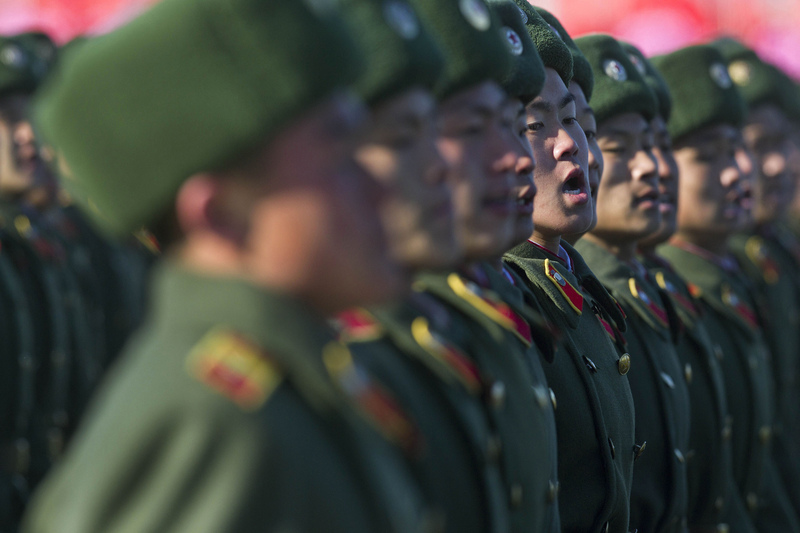 North Korea’s collapse could result in an influx of refugees toward China as well as a spread of democratic ideology that poses a threat to Chinese philosophy; it may also arouse separatist movements along its conflict-prone borders. As a buffer zone against the United States and Japan, a sovereign and assertive North Korea is used to maintain a regional balance of power. China’s use of North Korean relations as geostrategic leverage for regional power in the Asia Pacific may come at the cost of the buildup of nuclear warfare and tensions with the international community that may not be subjectively beneficial to its rise. A central point in the international system’s inability to mitigate North Korea’s nuclear agenda is focused on the influence that China has between two competing nations, North Korea and the United States, that are on the verge of nuclear brinkmanship. As the middle man, China must mediate an apprehensive American relationship voiced through international institutions while considering its own foreign policy agenda for hegemonic power that is leveraged through North Korean interdependence. As China continues to rise as a regional power in a nuclear climate, it must consider its role as an international arbitrator between the Western world and a rogue state. However, Xi Jinping’s behaviour at the 19th National Party Congress displays his pursuit for China to lead on an international stage, but not at the cost of the Chinese foreign policy agenda. This is unlikely to convincingly accommodate Western concerns in the Korean Peninsula in an impactful way anytime soon. Pressure for North Korean regime change remains hinged on Chinese influence that seems to be unfaltering at this time. The international system must consider pursuing a separate sphere of influence beyond multilateral sanctions and its reliance on the Sino-North Korean relationship as nuclear threats become more pressing.